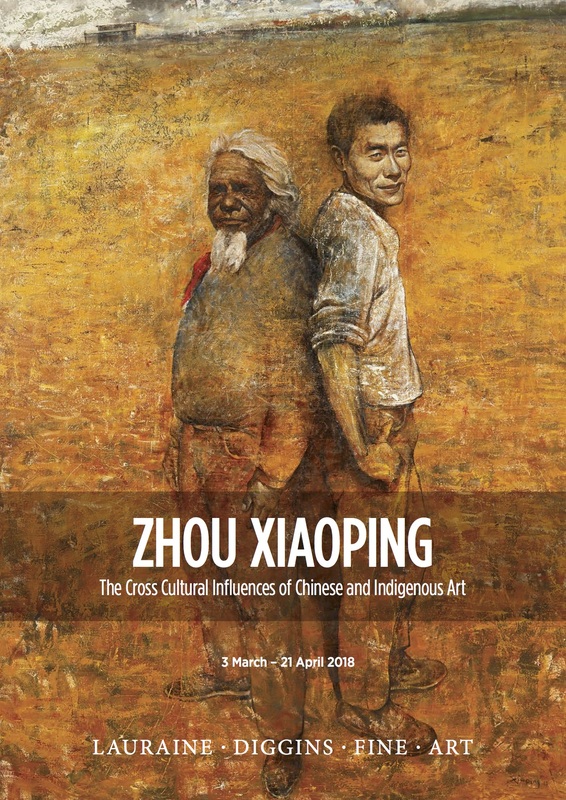 ZHOU Xiaoping : The Cross Cultural Influences of Chinese and Indigenous Art opens at Lauraine Diggins Fine Art this Saturday 3rd March with official proceedings by Senator The Hon Mitch Fifield, Minister for the Arts. ZHOU Xiaoping has created a unique artistic style incorporating his training in traditional Chinese classic painting with his experiences of indigenous Australia – its landscape, people and art – generating a new aesthetic and telling his story through his cross-cultural paintings and ceramics. We are excited to present this exhibition showing the development of Zhou’s intriguing art over the last decade or so. Arriving in Australia in 1988, Zhou travelled extensively throughout Arnhem Land and the Kimberley which had a profound impact on his art practice. The friendships he made led to collaborations with significant indigenous artists including Jimmy Pike and Johnny Bulunbulun. Zhou’s latest paintings continue his exploration of the themes of art, culture and exchange with their multi-layering of Chinese, Western and indigenous perspectives, meaning and narrative. To preview the exhibition and download the catalogue with essay by Professor Alison Inglis please click here.